Have you ever wished there was a YouTube source that you could go to for counseling topics that was laid back but also credible? One that isn’t so professional that it’s intimidating and, let’s face it, boring? One that you can relate to as a counseling professional yourself? Now there is! 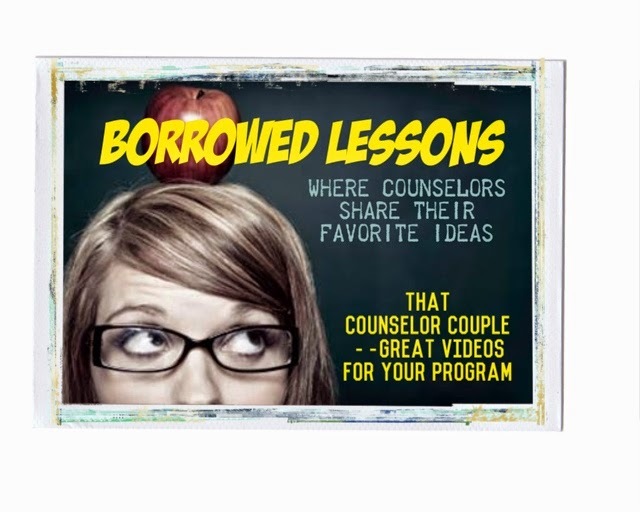 That Counselor Couple is a new channel on YouTube created by counselors just like you! Myself, a professional school counselor, and my husband Andy, a mental health counselor, share our similar and varied experiences with our audience. We began this channel to reach counselors, parents/guardians, teachers, and people who are considering entering counseling. As we said in our introduction video, Andy and I simply want to share information about mental health and mental illness to keep the important conversation going. We truly believe that the more people talking about mental health, the better! · For relatable experience – both Andy and I are real life, make mistakes, question our abilities at times, kind of people. We’re not experts and we don’t pretend to be in our videos. I bet you can relate to our examples, and who doesn’t need some of that every once in a while? · For specific resources – in many of our videos (and future videos) we share resources that we use ourselves in our everyday work. Sometimes the best recommendation for a counseling resource is by another counselor, and we know that. · For information about the misunderstood – we all know that many counseling topics, diagnoses, treatments, or just asking for help in general, can be greatly misunderstood by many. Our videos will help explain some of the myths and facts about counseling, whether in school or in private practice. Perhaps you might gain a good comeback for those conversations where myths about counseling come up. · For parent/teacher education – there will likely be a video that you can recommend to a parent/guardian or teacher if they’re struggling with a certain issue. We plan to do many videos on specific diagnoses and what they might look like in children vs. adults, as well as how to help a child struggling with a diagnosis in the classroom setting. · For anti-stigma – mental illness affects 1 in 4 people, which means that mental illness affects you. If you’ve never struggled with a mental illness, you probably know and love someone who has/does. Our videos are a way to keep the conversation going so people can talk more openly about their struggles and get the help they need. · For you and your school(s) – as school counselors, we are often the only, or one of few, professionals working in our school(s) who are educated about mental health/illness issues. That means each of us have a very tall order to understand the warning signs, the treatments, the needs, and the resources to help our students and their families. Hopefully our videos will help in this gigantic endeavor.